Our client is a world-leading solution provider of steel belts and processing systems. Our client success focused on meeting rapidly growing product demand while maintaining the highest standards of product quality. The business supplied its global customers on a make to order basis. Senior management identified unacceptable long lead times as a result of barriers between sales, engineering and production. To remain successful, Our client required TXM’s support to improve the whole process to have better operational efficiency and customer service. TXM helped Our client to choose two key value streams: Steel Belt and IP project process. The current state process was mapped from market to order and then to cash, including processes of sales, application engineering (tendering), engineering, purchasing, planning, production, process engineering, logistic, quality, finance, installation, customer service, etc. The current state enabled the Our client teams to see the waste and non-value added time in their processes, especially the boundaries of wastes between departments. After current state map, TXM coach the team to use the TXM “Seven Steps to the Future State™” Business Process VSM method to develop future state for the whole business, which incorporated the vision of management. After VSM workshops, TXM consultants supported Our client to implement the future state in the following visits. 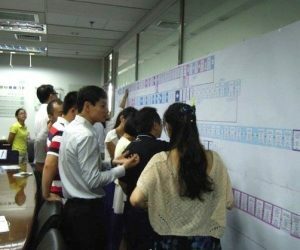 The main actions were adopting a visual project management approach and incorporating a Lean Daily Leadership Process. TXM coached Our client to establish a communication centre to track daily project progress and problems. A 20 minute daily “stand up” meeting at the communication centre to review projects progress and to solve problems has been implemented and involves project stakeholders, including project manager, sales, engineering, production, aftermarket, finance, warehouse and quality departments. 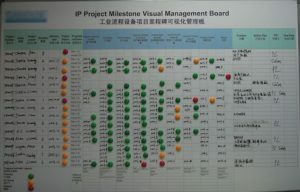 Plant Manager: “Everyone’s role in the projects is much clearer through the milestone visual management board, which is an effective communication platform. Project Manager: “The problems in the project are now well addressed and solved through the daily stand up meeting”. Sales Manager: “The visual management boards engage stakeholders very well and the progress of projects have become much smoother, which make our clients more satisfied. 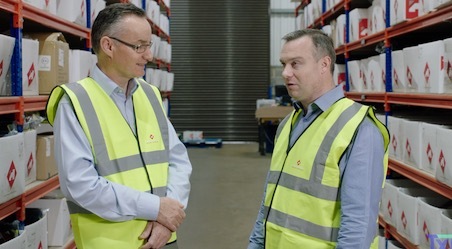 Finance Manager: “It’s now much easier to understand the status of projects, especially the payment stage for us, which avoids communication issues, such as delivering a production line to clients without payment”.